An Excellent Diet For Most Marine Fish & Freshwater Fish Who Are Lacking Colors. Great for African cichlids too! 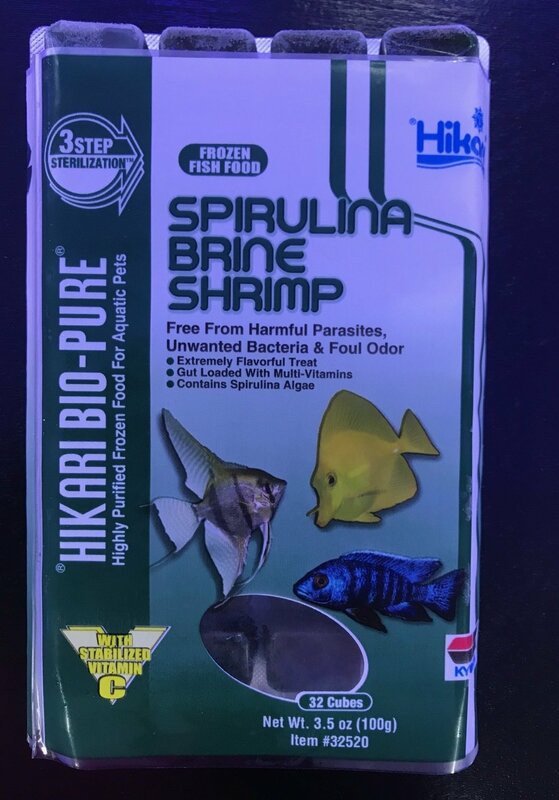 Brine Shrimp, spirulina, water, pyridoxine hydrochloride, carotene, L-ascorbyl-2-polyphoshate (stabilized vitamin C), vitamin B12 supplement, riboflavin, thiamine mononitrate, biotin, choline chloride, folic acid, calcium pantothenate, inositol, niacin.